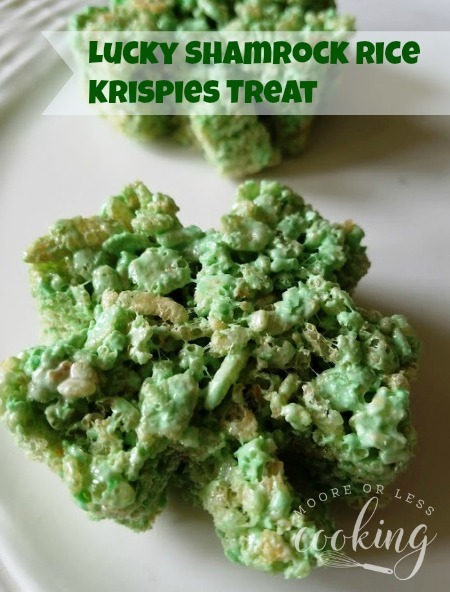 This classic, delicious snack has a lucky green twist for St. Patrick’s Day! 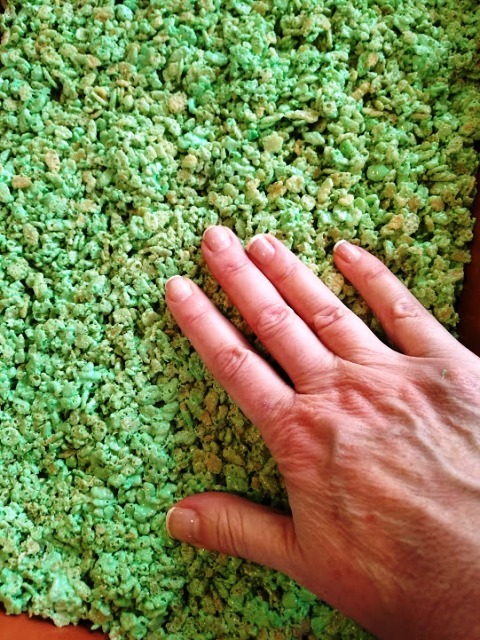 St. Patrick’s Day is just around the corner, and we’re feeling lucky and getting our green on this week. 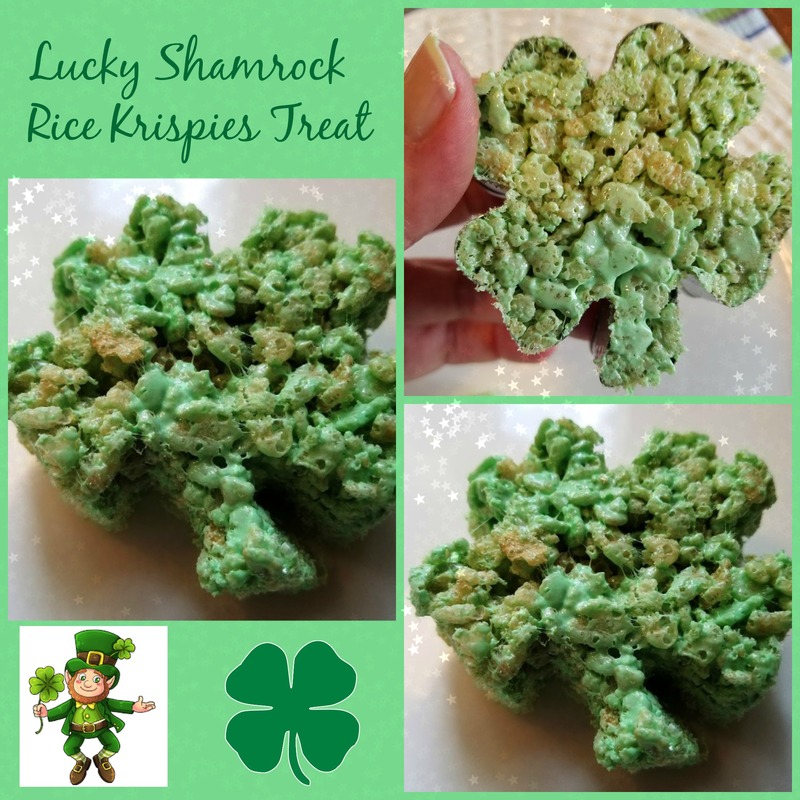 These Lucky Shamrock Treats are fun and easy to whip up with your kids! 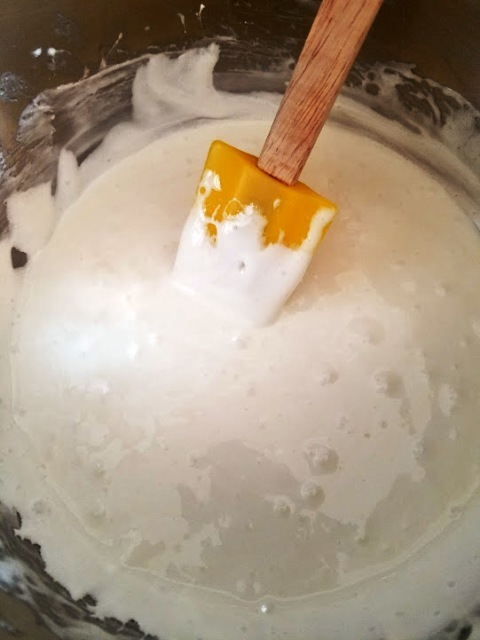 They disappeared very quickly and got the two thumbs up review from my kids! 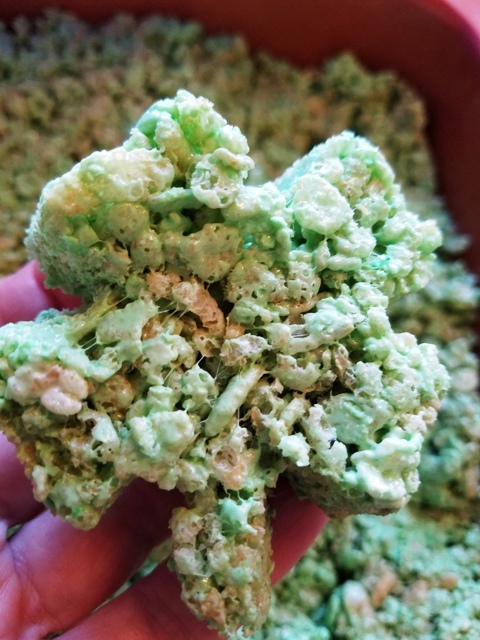 Every leprechaun will love these green treats! 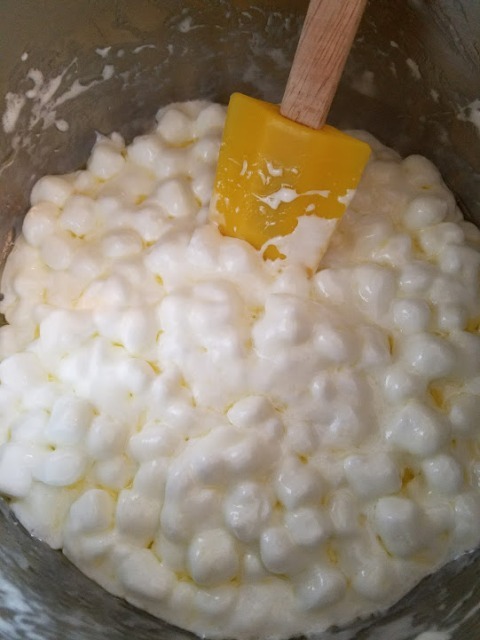 Sometimes I just want to make an easy treat that only takes a small amount of time to make. Plus these get gobbled down so quickly, it’s the perfect salty- sweet combo! 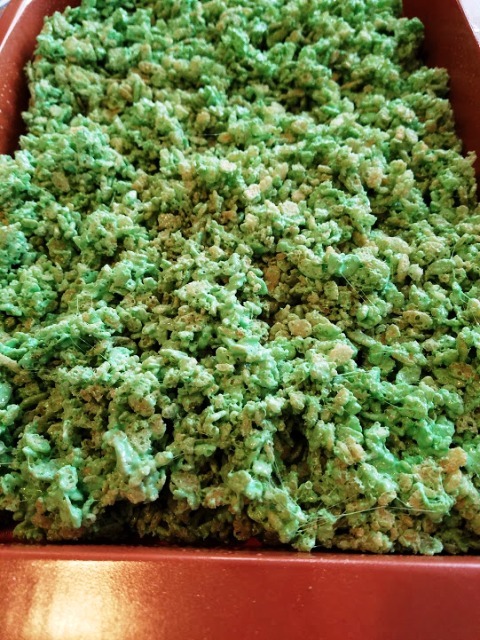 Now you have the recipe just in time for a St. Patrick’s Day treat! These treats are just too cute and really lucky! 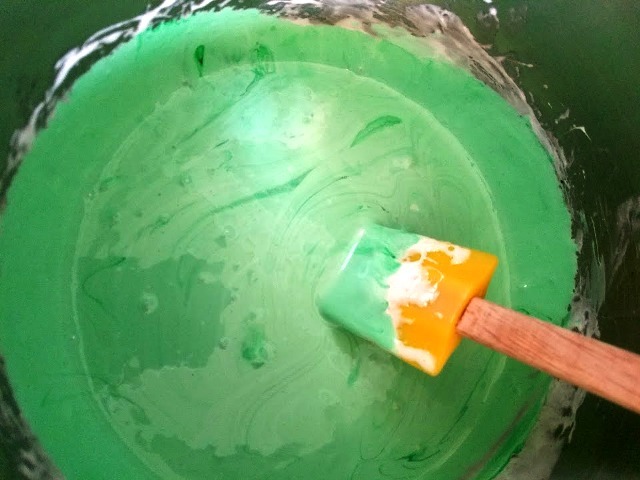 Stir in vanilla and green food coloring. Add as much as you like for lighter or darker shades of green. 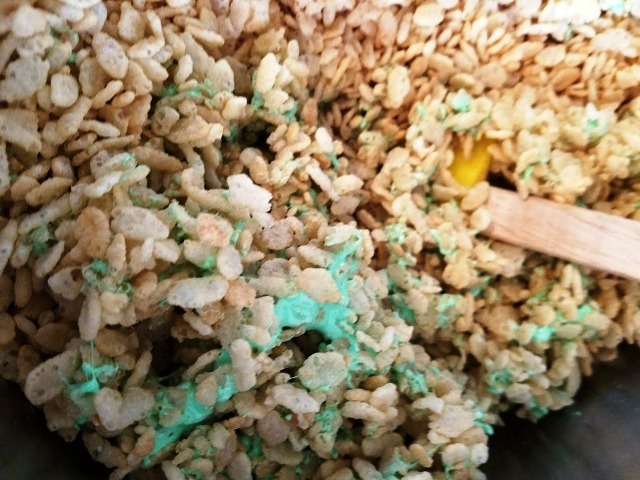 Add rice cereal. Mix well. Press into pan evenly with hands. Let cool. Spray a cookie cutter with Pam Spray for easy release. 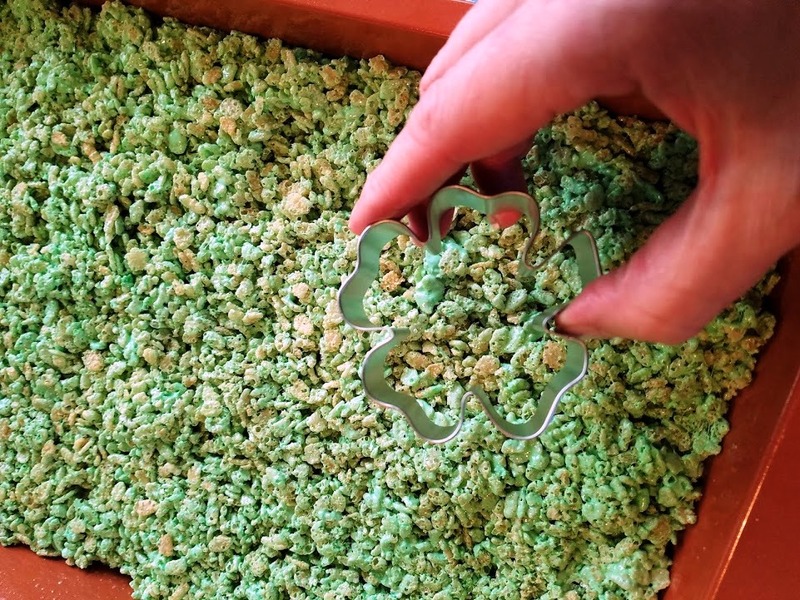 Press the cookie cutter into Rice Krispie mixture and lift up, gently remove the Shamrock Rice Krispie. 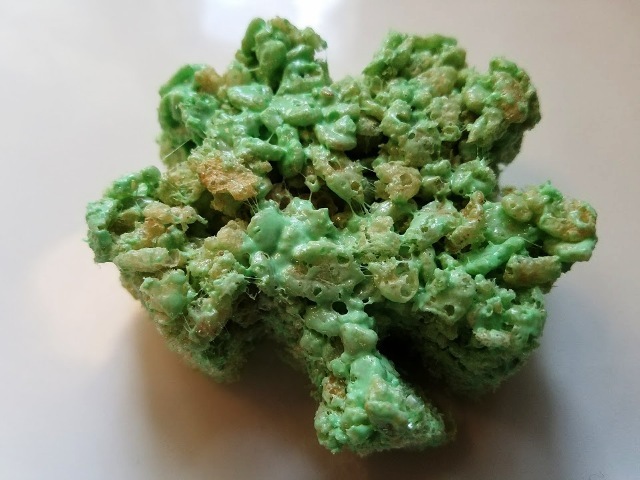 This classic, delicious snack has a lucky green twist for St. Patrick's Day! Spray a 9"x 13" pan with non-stick cooking spray. 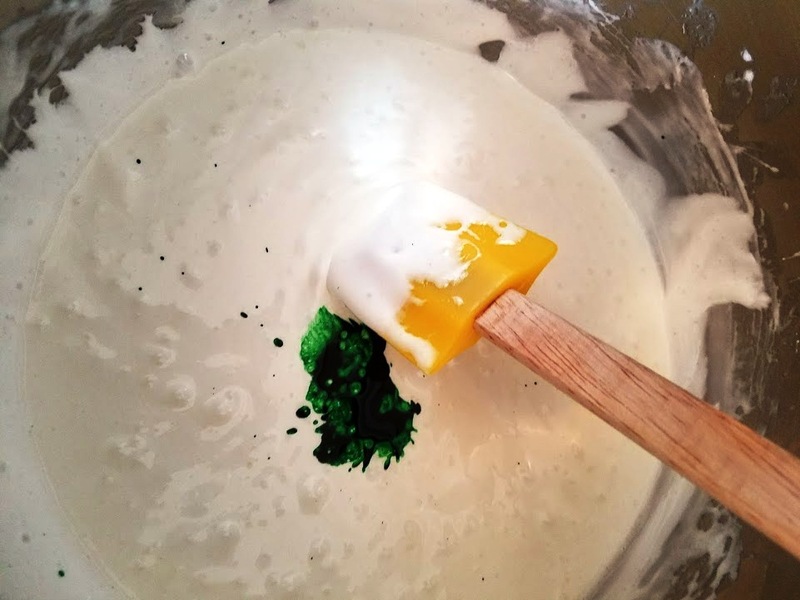 Stir in vanilla and green food coloring. Add as much as you like for lighter or darker shades of green. I love your holiday spin on a classic! Such a cute and festive treat!